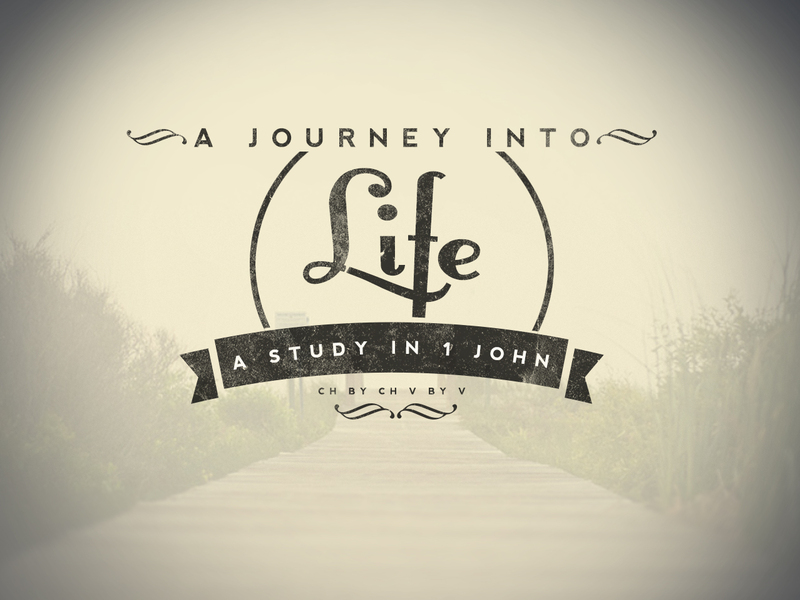 This Sunday we’re going to be starting a new series – a study of 1 John! We’ll begin by reading the first seven verses. We’ve just finished up a year-long study of John’s gospel, and it was suggested to me that keeping with the same author may not be a bad idea. I had to agree. We pointed out before that John wrote his gospel many years after the other gospels were written; many years after the actual events. In those years John had traveled from Jerusalem and settled in Ephesus, in Asia Minor. He planted churches and served as an overseer for many of them. An exact timeline for John’s life is difficult to produce. We only have bits of information passed down through tradition – the Scriptures shed no real light on what he was up to in all those years. We know he was at one time held in exile on the island of Patmos, where he received the revelation which he recorded and we now have as the book of Revelation. Tradition says that after that time was up, he returned to Ephesus and lived out his days there. Scholars are divided as to where to place these letters (1-3rd John) – whether they were written before Revelation or after. It probably doesn’t matter much. He never actually tells his name in this letter – but the earliest testaments we have about them attribute them to John. The writing style is almost identical to the writing of the fourth gospel – so if we attribute that to John, I don’t see why we would argue his authorship of this letter. John was writing to provide clarity for the various churches. A lot of time had passed from the time of Jesus, and a whole new set of voices was trying to re-direct the momentum of the fledgling church. John was the last eyewitness – his voice carried the greatest weight. So he lent it to correct some errors that were developing and splitting up the church. Chief among those errors was that of Christian Gnosticism. We’ll be reading this letter as an encouragement and direction for those who have set out on a journey to find life – real, whole and eternal life. In v1-2, John makes uses some pointed verbs: heard, seen, touched – in light of the dualism of the Gnostic worldview (all matter is inherently evil, only non-substance/spirit is good), what do you think John is trying to say about Jesus? V 3-4 highlights the joy that comes from being in fellowship with other travelers on this journey. Why would that be a source of joy? V5 John declares that God is light. How does light effect you and the world in which you live? How do we apply that as a metaphor for God? V6-7 are set out as a challenge. What is the most common complaint that you’ve heard people make about the church and Christianity? How does John’s challenge here address that? What do you think “walking in the light” means? I really hope this will be a beneficial study – hope to see you this Sunday! Previous Article Christ is Risen…Now What? In light of the Gnostic worldview at the time, maybe John is trying to say, this Jesus wasn’t just some obscure God that could only be dreamed up in your minds eye but rather that He was a real person as well. Spirit absolutely, but also flesh and blood, visible, touchable, approachable and available to all, not just to the spiritually elite. I think the joy that comes in fellowship with one another was one of the greatest gifts He left us with. We are all on this long road trip together. We are headed to the same destination. We get to share the mountaintop experiences with each other and help to pull one another through the valleys as well relying on the same source to keep our spirits fueled and the same map to guide our journey. Together we won’t get lost or left behind.. In community He is still tangible to us, visible, audible and touchable to and through each of us to one another..
God’s light helps us to see clearly in the darkness of this present age. When we are confused or struggling we look to Him for clarity. His light guides and shows us the way, enlightens us and makes our path clear. The biggest complaint we always hear is how the church and the people individually who make it up are hypocrites. In essence vs 6 and 7 are saying He has given us Light, shown us the way when we continue in our old patterns and old ways, we are acting out that hypocrisy. We have what we need or rather who we need, as we seek to follow and imitate Him walking toward The Light then we will rightly reflect His heart and purposes! Let’s do it, Lets follow The Light together, pulling others out of the shadows! !